What is Scrivener? It’s a good question. Maybe you’ve heard other writers talk about but you’re not exactly sure what it does or if it’s for you. Very simply, Scrivener is a software product from Literature and Latte designed as a highly flexible writing development tool. It has 3 main parts to help you develop and write a project. First there is the corkboard which allows you to create the beginnings of your writing project with some folder or documents. Here, you can essentially do some white-boarding and play around with your main ideas and get your basic plot, scenes and chapters in a sensible order. Next, for those who like it ( and for those who don’t but need to do it lightly) there’s the outliner. You can use this to work on your more detailed ideas for the project. You can do as much or as little outlining as you need – it’s all up to you. Last, there’s the editor where you can write your rough draft in divided documents and folder (again, how you approach this is up to you, the writer). There are a large number of other tools within Scrivener to help you along. The Binder can be turned off and on and it shows you a tree organization of your project. I’ve used this to re-organize the structure of a project when revising. Because it’s visual and making such changes took me a matter of minutes. There are also a wide array of tools, settings and configurations that can assist you in your writing. The Inspector bar alone contains a number of tools to help you manage the project effectively. Yes, there’s even a compiler that allows you to create a single, unified document from all your containers, including marking the draft as rough, adding the title and other front matter as well as much more. Scrivener is very powerful, functional and flexible. It does require some effort to learn the software. But as you work with it, you realize you can write almost anything using it whether you plan to publish the content or not. This post was originally written using Scrivener because I have a whole project dedicated to developing blog posts. For those who need some training, Scrivener comes with a tutorial project and if you click Help you can choose to open a manual in .pdf format. Additionally, Literature and Latte has a number of training videos and there are many more posted by other users that can be found on YouTube. Here’s a link to a video by one of the software developers. You can download it for free and get time to use it during a trial period before you buy a license. Want to know more? Try one of my posts about Scrivener – like how you can begin using it today. 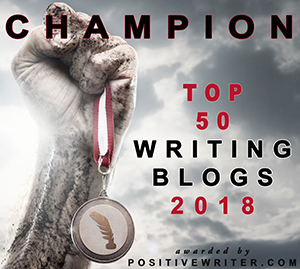 There’s really a lot of resources to help you and even a Facebook group where writers discuss the usage, tips and general how-to’s with the software. Many thanks to eclecticllc for sharing that video! I use WriteWay, and I know of authors who have really good luck with Scrivener. Your post will come in really handy for folks who have been considering taking the plunge. Thanks for the information! Share away! Thanks for stopping by and leaving a comment! Thanks for visiting and sharing your information, S.K! That’s a handy link. I’ll include it in an update later this week. Gwen is a sweeatheart and her classes are only around $0…well worth every penny. She showed me so many features I didn’t know about, and it was all interactive online. Great, I’m getting that posted to our curated post for Friday! Like Craig I can also say that I could learn new software, yet I hate dedicating time to starting with a new editing tool. I read the post and especially all the comments as they show directly the opinion of people using it. Hm! I am in two minds. For the moment I am struggling with yWriter another software, similar with the one in the post. I bookmarked the page and will study it thoroughly. Thanks for posting it, PHS! Thanks for stopping by and commenting today, Carmen. I had trepidation about Scrivener too until I saw how it simply allowed you to flow from early development to actual writing seamlessly. When I used went through the tutorial and used it I was hooked. My current post about Scrivener over on Story Empire. Check it out! I bough Scrivener with a discount for NaNoWriMo winner two years ago and I can’t think of use anything else for writing right now. Word it’s just a “last check tool” for me because I find its dictionary (especially in Italian) is far more complete. I use Scrivener for everything else, from outlining to editing and translating (the feature who allows you to split the screen in two and work on two documents at the same time was mind-blowing). It’s an amazing software and the price is more than reasonable given all it can do. Thanks for leaving the comment today, Irene! I use Word as last check and formatting myself. I stick to Scrivener for everything else and I’m always learning a new trick to get the most out of it. Once you see the power of it, the learning curve is not really a hold-up. You use it the best you can and then check for answers to questions otherwise. Just getting formatted templates for specific writing projects is huge! It is a very reasonably price product for what you get! Thanks for leaving the comment today, Harmony! Good to hear that you use it so much. I’d like to integrate it with Scapple and Dragon soon myself. But the basics are create the project and start developing the structure and type in the editor. The editor is very easy to use. Here’s a great introduction to Scrivener, for those of you still resisting the program. Thanks for the reblog today, Staci! I’ve been using Scrivener for a few years now, and I’ll never go back. I’m sure I’m not using all the features (it’s quite a robust program), but I’m already doing more with it than I ever could in Word. The learning curve is daunting; the first time I tried to use it, I didn’t get it and I ignored it for a long time. But then I saw a video tutorial and it seemed simple. From there, I bought the For Dummies book, and between the book and the video tutorials, I was off to the races. Don’t be intimidated. Give it an honest try, and you’ll love it. Thanks for leaving the comment today, Staci. My next step is to begin using it with Dragon Speak Naturally so I can dictate into Scrivener. That will likely be some learning curve just using the new software but also integrating with Scrivener. However, there are people who do it effectively and I want to head that direction myself. There are several more ways i want to use Scrivener more effectively myself! Thanks for sharing today, P.H. I’m hearing a lot about Scrivener, but like others, hate the idea of taking time to learn a new software. For screenwriting, I used Final Draft and there was a slight learning curve with it, but not bad. How would Scrivener compare to Final Draft? You were rescued from spam jail again today. I hope PH can get back to you, because I don’t know anything about Scrivener. I haven’t used Final Draft. However, Scrivener wasn’t so bad to learn and it’s worth the effort because it’s so useful. I was slow to adopt it myself but it was worth the effort. PH Solomon is telling us all about Scrivener today. Stop by the Story Empire blog and ask him your questions. Thanks for the reblog today, Craig! Hi, I’m Craig and I’m old and grouchy. I’ve been old and grouchy for a number of years now. I was last grouchy on Friday night. I’m capable of learning new software, but really hate doing so. I think Scrivener would be great, but I don’t want to dedicate the time to learning it. I already use a cork board app to outline all of my projects. Is there a Scrivener Light version that might convince someone like me to give it a try? You mentioned using it as a blogging tool. Does it come with tools that allow the inclusion of images and links, kind of like other blogging apps? Will it export in HTML format, which is kind of handy for guest blogging? Does it produce a file that will pass through the Amazon machine to publish a book? You can include images and links and it will export (compile) to a variety of formats. Images do not wrap in Scrivener like in Word so you may need a bit of editing for the final product. I find it best to compile to an editor and check all the formatting before uploading to a retailer, however it will do the job of compiling to e-book formats and pdf. My preference is always to let the retailer site tool do that though. I personally would like to start putting out my guest posts to HTML but not everyone I send those to handle those kinds of documents well and many still prefer I send them some sort of text file instead. Makes sense. I may have to check it out. Thanks for commenting today, Julie. I was hesitant myself. But then I saw a few ways other writers were using Scrivener to develop and track their writing projects and I jumped in and started learning from the tutorial. I learned as I went. It’s still writing software at the end of the day. What really hooked me is the ease with which I could really change the project when necessary. With my current WIP revision, I’ve been able to make lots of structural changes in a matter of seconds which would have taken me a long time in Word. I bought Scrivener two years ago when it was offered at half price to those who had completed NaNo with 50K or above. Of course I took advantage of the special pricing, but since then the program has resided on my computer doing little but taking up space. I really want to learn how to use it. I just need to dedicate a block of time to do that. Every writer I know who uses Scrivner loves it, so I’m sure it’s worth that time investment. Thanks for the introduction and a quick look at the power behind the program, P.H.! Thanks for the reblog, Anna! Thanks for linking back, Joan! Great post, Paul. I downloaded a free trial of Scrivener years ago but resisted using it because of the learning curve. Then I was privileged to watch a one-hour tutorial on its use and from there I was hooked. Can’t imagine going back to just using Word. There are also video courses on Udemy that were a tremendous help to me. If anyone thinks they can’t learn this wonderful product, I would suggest them taking one of these courses. Thanks for the tip, Joan! Thank, Joan. Once I started with it I found the usefulness too. I quickly became an avid user. I had gotten so tired of developing in Word which had started crashing often. Now I have excellent backups, don’t worry about my computer rebooting or anything. It’s all there waiting for me. I only use Word now for my formatting. I use Word for editing, but the final draft goes back into Scrivener. Joan, I’ve developed an effective revision process with my current book so I don’t use Word for editing anymore. I hope to write more about it soon. I think you’ll find it helpful! Thanks for the clear explanation. Is it wrong to say this has convinced me to stay with my own tried methods? Probably that age thing. No, that’s not wrong. Especially if you are working through a project now. It’s best to finish how you started and best to try Scrivener between projects to learn the basics and then use it for a new project or writing that you may not even intend to publish in an effort to get used to it. Thanks for visiting and commenting today! I am a dyed in the wool technophobe, and the thought of diving into Scrivener scares the pants off me! But I will have another try one of these days, as it sounds like every writer’s dream! I know that’s waht everyone who uses it says, but you have no idea what my head does with even the simplest form of technology. It is because of my patience that I learn anything! S.K. Nicholls post a comment sharing a resource that helped her. It’s the author of Scrivener for Dummies as well as her training website link. You might find that helpful. I’ll have the link posted on the SE Friday post too. If you use a word-processing software like Word you have much of the battle won as that is very similar in Scrivener. The rest is navigating the software interface and learning to use all the features. But you don’t need to know everything to start.